If you research dermabrasion or micro needling, you’ll eventually come across a little device called DermaPen. 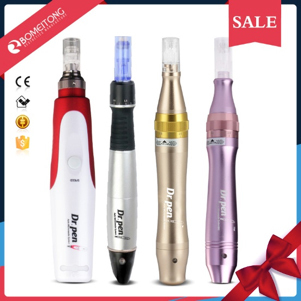 This type of tool has become a darling of many skin care professionals and aestheticians, who tout the product to their clients as a new solution for skin tightening, with little or no down time. However, although your local spa or dermatologist office may gush about all the benefits of DermaPen, it’s important to educate yourself about how this device works before you decide to opt for the procedure. This is because recent concerns have surfaced about the efficacy of the DermaPen, with some professionals questioning whether the machine is safe for the skin. DermaPen is manufactured by Derma Pen LLC, a Utah company. Although this device is claimed to be a revolutionary breakthrough in skin care, the basic methodology is actually an evolution of previous micro needling techniques. The premise behind DermaPen is to cause micro damage to the skin; thus stimulating the body’s natural healing processes. The human body is quite amazing in this regard. When small parts of the skin are damaged, the body begins to quickly grow new skin to replace it. In many ways, this is the same premise behind chemical peels and photofacials; causing a little bit of damage to old cells, to replace them with healthy cells. However, instead of using chemicals or lasers, the DermaPen relies on tiny needles to penetrate the skin in the treatment area. These little pin pricks cause micro wounds just below the surface and damage the collagen networks in the dermis. This causes the body to respond by creating healthy cells in the treatment area, thus tightening the skin and removing cells with excess pigment (like scars and liver spots). The DermaPen is not necessarily unique. There are other, similar products on the market, including the SkinPen. Further, the technology is an outgrowth of needle rollers, which are cylindrical tools with small needles all over the surface, which were rolled on the skin to cause micro damage. Though the DermaPen is just an evolution of an older technology, it is certainly a leap forward and can achieve significant improvements in skin texture and pigmentation, while at the same time allowing the medical professional to treat highly delicate areas that are not possible to address with a needle roller. The device itself looks like a pen (hence the name DermaPen), but the tip attachment has short, thin needles at the end. When performing the micro needling procedure, your skin care professional will press the DermaPen vertically against the skin, and turn on the device. A motor inside will start to rapidly move the needles back and forth; creating many tiny wounds in just a few seconds. Further, the needles are designed to rotate slightly, which allows for the creation of more wounds at the treatment site, with less effort. People tend to generally dislike needles, and that’s one obstacle that any micro needling system has to fight to overcome. Whether DermaPen will be painful will depend on two factors; 1) the sensitivity of your skin, and 2) the penetration depth chosen by your skin care professional. The latter aspect is very important, because the DermaPen penetration can be adjusted between 0.5 and 2.5 millimeters, depending on the treatment site. However, a numbing cream can be used if you experience too much discomfort. DermaPen reviews are generally positive on the subject of this device’s effectiveness. Patients tend to report positive results after several treatments, which are typically spaced a few weeks apart (to give your body time to heal and build new collagen). 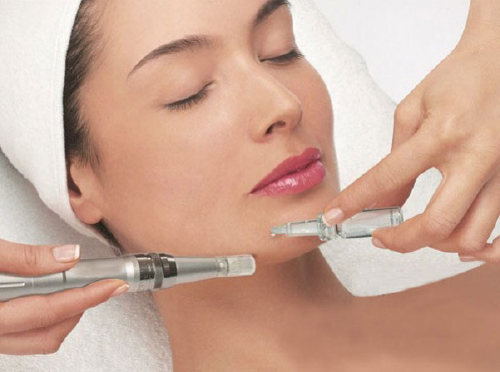 Patients have claimed that the DermaPen has helped them with problems like acne scars and dark spots on face. Some even suggest that they’ve seen a significant decrease in wrinkles, as DermaPen stimulates production of collagen. It is also more effective when used along with copper peptide preparations. Unfortunately, DermaPen is not available for purchase by consumers. Because of the potential dangers of infection and misuse, the treatment must be performed by a licensed skin care professional. Side effects from DermaPen procedures are similar to those associated with light chemical peels and microdermabrasion. The patient will typically experience some swelling and redness after treatment, both of which should subside within 24-48 hours. Those with sensitive skin may also experience bruising. In a seeming blow to DermaPen safety claims, the US FDA issued a warning to the manufacturer in early 2017, and asked the company to eliminate some of the claims in the marketing materials. Most notably, the US FDA suggested that there have not been enough studies on potential dangers of needle penetration depths, and that there isn’t enough data to suggest that DermaPen will not rupture small blood vessels or damage facial nerves. Knockoffs form China being sold on Thai Facebook Accts. Off late, there has been certain thai facebook accounts selling so-called DermaPens which are actually knock-off from China along with certain so-called skincare products for home use. It is extremely dangerous to use DermaPens or knockoffs without proper medical training. Only see a licensed medical doctor or dermatologists to have the treatment done. Do not attempt to self-use as it can result in infections, scarring etc. 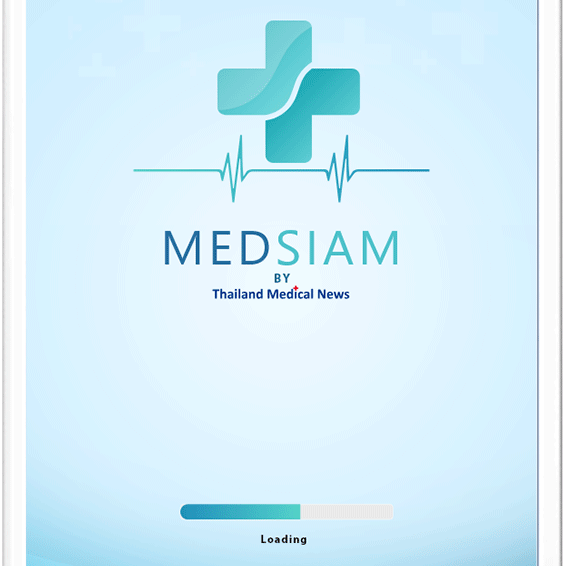 Report any unauthorized sales of these devices to the Thai FDA or Thai MOPH or local Police.